The Senate passed the Economic Growth, Regulatory Relief, and Consumer Protection Act on Wednesday. The legislation, more commonly known as the Crapo bill, includes a rollback of many banking regulations. While it is designed to ease the burden on small community banks, it will also benefit larger regional banks and credit-reporting agencies. A major overhaul of the US financial system’s regulatory structure passed the Senate on Wednesday in a move that could relax some of the most stringent post-financial-crisis regulations for dozens of banks. 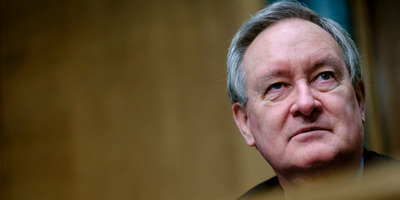 Supporters of the legislation – officially known as the Economic Growth, Regulatory Relief, and Consumer Protection Act but more commonly referred to as the Crapo bill after its author, the Senate banking committee chair, Mike Crapo – said it will free up regional banks from burdensome regulations and give consumers easier access to credit. Opponents, such as Sen. Elizabeth Warren of Massachusetts, said the bill will increase risk in the financial system and possibly set the industry up for another devastating crisis. 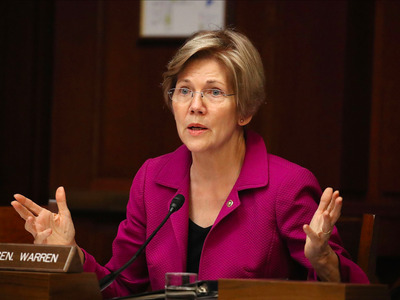 Despite pushback from Warren and other Democrats, the bill easily passed the Senate by a vote of 67 to 31. A slew of moderate Democrats, particularly those running for reelection this year in states President Donald Trump won in 2016, jumped on board to get the measure through the chamber. The bill’s most consequential provision comes from an increase in the threshold for a financial institution to be designated a Systemically Important Financial Institution. The move has long been favoured by Republicans in Congress, the Trump administration, Treasury Secretary Steven Mnuchin, and some Democrats. Banks with the SIFI designation must adhere to stricter rules and oversight because their failure is seen as a danger to the economy. For instance, SIFI institutions must produce “living wills” that lay out how a bank would sell off assets in the event of a bankruptcy without disturbing the broader financial system. The increased threshold, to $US250 billion in assets from $US50 billion, would affect several large regional banks, including BB&T, Fifth Third Bank, and SunTrust, which would no longer be subject to the more stringent SIFI rules. The number of SIFI institutions would drop to 12 from 38. Lawmakers who favour the bill say that the SIFI designation was never meant to apply to regional banks and that the regulation has made it difficult for them to operate and for consumers to access credit. Opponents of the bill, however, note that some institutions that helped precipitate the financial crisis had a smaller asset pile than $US250 billion. Warren pointed to Countrywide, a mortgage lender that helped contribute to the crisis while holding about $US210 billion in assets. In addition to the SIFI adjustment, the Crapo bill includes several tweaks for smaller banks and other financial institutions. Most of those changes are designed to ease regulation and allow businesses to engage in different types of lending and investing. Increase the threshold for banks to undergo the annual stress test from the Federal Reserve, to $US250 billion from $US10 billion. Banks with assets of $US100 billion to $US250 billion would have to wait 18 months for an exemption and could still be tested periodically. If an institution fails these stress tests, which judge the systemic risk from the bank in the event of a severe downturn in asset values, the bank could be subject to additional regulations. Exempt banks with less than $US10 billion in assets from the so-called Volcker rule. The rule, named after the former Fed chair Paul Volcker, prohibits depository institutions from engaging in proprietary trading and investing in certain hedge funds and private-equity firms – cutting down on the type of risky investments a bank can make. Include carve-outs for smaller community banks with less than a certain amount in assets, relaxing rules on what types of real-estate loans the banks can make and how much capital they need on hand. Force credit-reporting agencies like Equifax and TransUnion to give consumers free credit freezes, but also shield the agencies from certain class-action lawsuits and allow the firms to offer credit checks for mortgage applications. Crapo released some minor last-minute adjustments to more closely adhere to the House’s conservative approach to deregulation, said Jaret Seiberg, a financial-services analyst at Cowen Washington Research Group. Moving it closer to the House’s goals, he said, was an attempt to ease the bill’s passage. It is unclear when the House will take up the bill or whether there could be any changes that necessitate a conference committee.